Ah, Saturday, my Muse day! Have I mentioned how much I love this challenge? (I know I own it now, but don't forget it was created by Jackie Rockwell, so I think I can get away with saying that I love it without being arrogant! lol!). Every week I'm truly inspired by the Muse and also by all the amazing cards that are linked up! I went clean and graphic but stuck with the theme and the colours. 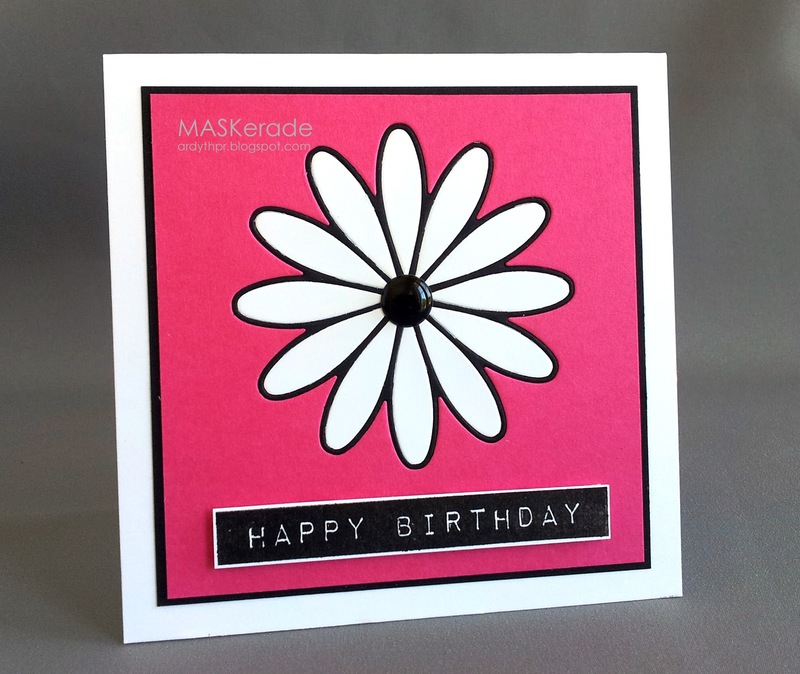 I think that by outlining the MB die cut flower in black, I've included the black thread element, and my sentiment is from the same Altenew stamp set (doesn't it look like those old label-tapes?!). And let's not forget the enamel dot for the black flower centre! There's still time for you to play along - the challenge will close on Monday at 8 am EDT. Voting starts then and continues until Tuesday at 8. Results will be posted on Tuesday at noon! Hope to see you there! Oh I am in love...crisp, bold and gorgeous. Gorgeous take on Therese's card! Awesome take on Therese`s card and so you! Such a striking card - and a fabulous take on the MUSE card. I am really enjoying the MUSE challenges, so thanks for all the hard work you're putting in over there. POW! BAM! Shazam! You rocked it Ardyth! Hey Ardyth!! Your flower is amazing. I love cards that contain inlays. They make the cards that more sophisticated. Nicely done. Awesome card...I love your sweet flower.